Where’s winter gone? 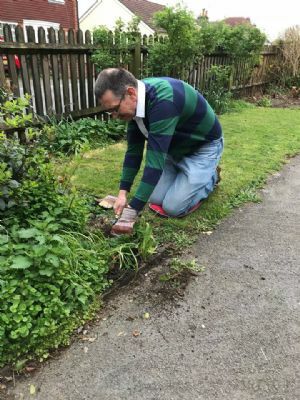 Many may be glad to see the Spring arriving through the new growth and bulbs popping up and flowering which means………church gardening starts again at the end of March! The hedgerows will need trimming by then and the large evergreen shrubs need a serious haircut to keep them controllable. Some things may be better than others for certain people (like those who prefer to hedge and shrub cut and happy to climb ladders!) whilst others are happy to get on their hands and knees – just like all of us do at home with our own gardens. Our major project for last year was to re-instate the Jubilee garden which had to be dug up to lay the pipes for the wonderful new toilet in the Webber Hall. At the end we have put the bench back – so many of the parish who walk past take time to sit and enjoy the sound of the birds, rest and think whatever they want to. Looking forward to seeing you at some time. Gardening Gods and Goddesses Needed!! 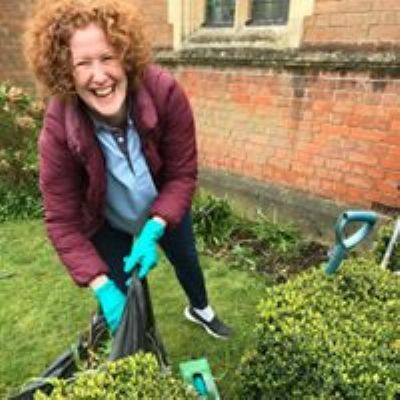 Lynn Hedges has overseen the church gardening for many years but has now stepped down as she and Nick prepare to move away this year. We are very grateful for all of Lynn’s work over the years and the work that has been undertaken. Robert Bourne is our new Head of Gardening. Gardening sessions are always lots of fun and the more who are able to come and help the sooner the work gets done and the more fun we have. If you cannot help on these dates but are willing to do jobs in your own time please do ask Robert want needs doing, or feel free to come and trim hedges and do some weeding whenever you like.